With the Labels for Education Program coming to a close, please keep these dates in mind so our school can maximize all the points it can collect and redeem. 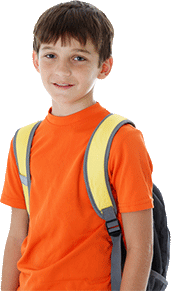 January 2, 2018 – Final date to submit UPCs into your school’s bank account. 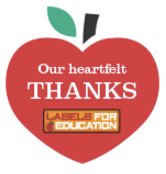 All UPCs with the Labels for Education logo must be mailed & postmarked by 1/2/18 for acceptance. May 31, 2018 – Last day to redeem merchandise for your school from the 2017-2018 Merchandise Catalog – be sure to get your orders in and postmarked no later than 5/31/18. Please be sure to share these dates with your school and community. For any questions call 1-800-424-5331. And also, please continue to visit LabelsForEducation.com for full details. Thank you for your contributions!